June 2007 – Kitmeout Designer Clothes – Fashion Blog & Fashion Forum. Kate Moss and rocker boyfriend Pete Doherty are to star in Roberto Cavalli’s A/W 2007-8 campaign together.Â Although, Moss was initially scheduled for the campaign on her own, Cavalli quickly decided to use Doherty when the latter accompanied his girlfriend to the shoot. â€œThey are both iconic,â€ Cavalli said about the decision. â€œFree spirits with a strong personality. Stylish, contemporary and a very intense couple.â€ The media interest generated by the move will undoubtedly stand Cavalli in good stead. 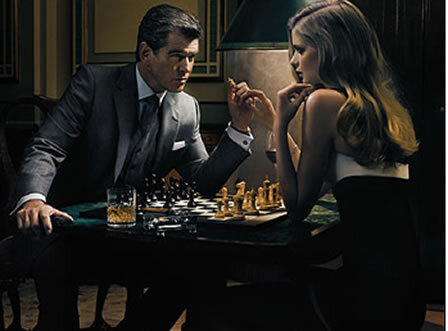 In one of the ads, Moss is featured wearing a Cleopatra-style gold-accented gown, while Doherty is cast as a young Marlon Brando modelling the brand’s menswear line. The campaign was shot in Ibiza last month by Mert Alas and Marcus Piggot. Buy Bye Barneys New York? Jones Apparel Group Inc. finally made public what Wall Street knew all week – that it was selling its wholly-owned subsidiary Barneys New York Inc. for $825 million in cash, subject to purchase price adjustments, to an affiliate of Istithmar, a Dubai-based private equity investment house, in a deal that will close in the third quarter. Levi Strauss Europe and Modelabs Group to launch their own line of mobile phones . The denim company recently unveiled their Accessory Collection in Paris, which includes their first line of phone models. “Technology is at the heart of today’s youth culture and mobile phones are the ultimate accessory. Adding a mobile phone to our collection is a natural progression for Levi’s, a brand that is driven to meet the desires of young people”, says You Nguyen, Senior Vice President of Levi’s Product. How do mobile phones match this picture? “As pioneers of the connection between fashion and technology, we wanted to create an accessory that combines design aesthetics with consumer needs. We are confident that this phone lives up to the promise of the Levi’s brand”, further declares You Nguyen. It seems as Levi is saying that the times for luxurious handsets have passed and people now need to return to the basic functions, appreciating practical aspects about mobile phones before any other design features. The Levi’s handset will come equipped with a 2 megapixel camera and a 1.8 inch display screen. Moreover, it will also have a music player included and Bluetooth connectivity. All these just to make it best suit the needs of any type of users it might have. Levi’s stands for one of the most popular company for jeanswear. Their models are created to best suit the working men since more than 70 years ago, when Levi’s became a wardrobe must-have. The Levi’s phone will come in metallic silver, black and brown copper cases. There are also some more stylish versions for this handset, designed especially for more feminine tastes. The phone will be available for purchase in stores around Europe starting September 2007. Wahoojin is a Japanese company that was established in the year 2005. 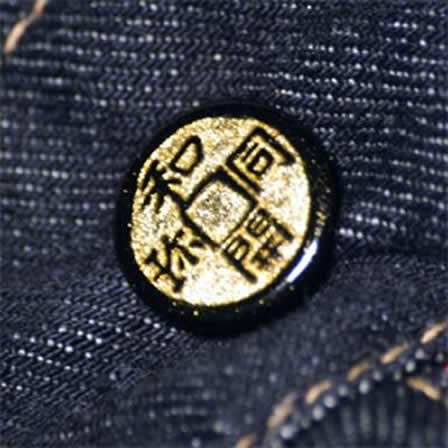 The concept of Wahoojin is to create high quality, yet fun and fashionable denim by using historical Kimono hand paintings (Yu-Zen). Wahoojin wishes to inspire all. Here’s a sneak preview of the new Wahoojin denim line. With the purchase of a red mini ball you will be able to support the international humanitarian organization Right To Play. The Red Ball, represented in Right To Playâ€™s logo, is the organizationâ€™s symbol and a symbol of the humanitarian potential of sport to promote health, development and peace. It also embodies Right To Playâ€™s values â€“ the best values of sport including cooperation, respect, inclusion, integrity and fair play. Right To Play has projects in over 20 countries in Africa, Asia and the Middle East. The organization is supported by an international team of professional, Olympic and paralympic athletes from over 40 countries. Led by four-time Olympic Gold Medalist, and Right To Play President and CEO Johann Olav Koss, the team of Athlete Ambassadors include athletes such as Martina Hingis, Haile Gebrselassie, Frank Lampard and many more. Together with adidas, you can help. Buy a mini red ball. Proceeds of your purchase plus additional funding will support Right To Playâ€™s projects and improve the life of children around the world. APC to open second US store this SaturdayÂ and it’s inÂ Los Angeles. 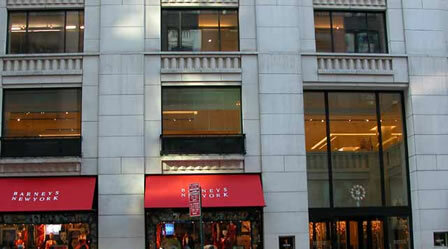 It’s been a long time coming when we consider the first APC store in the USA was in Manhattan 15 years ago! 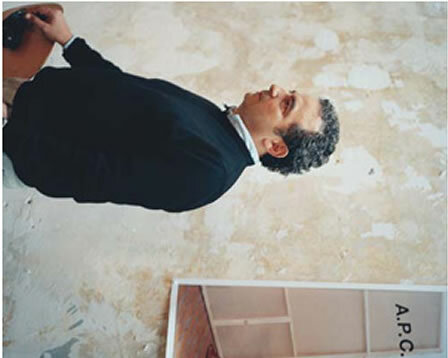 “I’m not keen about opening a store every five minutes,” said company founder and president Jean Touitou. That’s a major understatement! “I don’t sit there and say, ‘Let’s not do anything so we can build up my cult,”Â said the man. “I believe there are way too many clothing stores all over the place.â€¦I’m not a real estate developer, and most of the fashion brands are. But after 15 years, I thought a second store is a good thing to do.” And get this a third APC store, surplus, is due to open in September in Brooklyn. The woman they call the Real Life Barbie, Sarah Burge (www.reallifebarbie.com), has been seen modelling the new KU women’s wear collection. The KU brand is widely considered the original Japanese designer brand and rumour has it the brand is soon coming to European shores with both an amazing women’s wear and jaw-dropping men’s wear collection. Calvin Klein Jeans a real plus? Calvin Klein wants to plug a major gap in the fashion market. Patricia Royak, president of Calvin Klein Jeans, said the new plus-sized Calvin Klein collection will share a brand aesthetic similar to the core Calvin Klein product range. The prevalent thinking among brands and retailers regarding plus-sized customers has been that they are more conservative in their style choices. Not so anymore, Royak said. “The whole attitude of this zone has changed,” she add. Aquascutum to make comeback in USA with a limited edition collection of coats and trenches inspired by designs from the Thirties through the Fifties. The coats are based on Aquascutum pieces worn by Hollywood stars including Daphne du Maurier, Marlene Dietrich, Bette Davis, Audrey Hepburn and Sophia Loren. The collection named Aquascutum Vintage, will be sold in the USA. exclusively at Bergdorf Goodman starting in the autumn. Aquascutum is a player in both the UK and Japanese markets and sees the USA as a natural progression. Rocksmith Tokyo arrives on shelves and online this week with its summer tee delivery. The three custom body tees have waterbased print twill necktapes commemorating the 5th Anniversary of the line. “Don’t Sweat the Technique” Tee pays homage to Erik B & Rakim’s classic record. A collaboration tee with Complete Technique Jewelry, the Tee is a followup to the cassette pendant collaboration. The “Notorious” Tee comes in white and mint and has an abstracted Coogi print. The stars on the “Kool Moe Dee” Tee are an all over discharge. Fendi Handbags at Sam’s Club??? Walmart pay Fendi undisclosed compensation in settlement for reputedly selling counterfeit Fendi handbags and wallets through their Sam’s Club subsidary. It seems the only place to be sure of buying authentic designer gear is strictly through authorised retailers and etailers. If you want to be sure you’re not buying a fake then FFSÂ do your research to make sure the seller has a genuine account!